Super Savings Item! 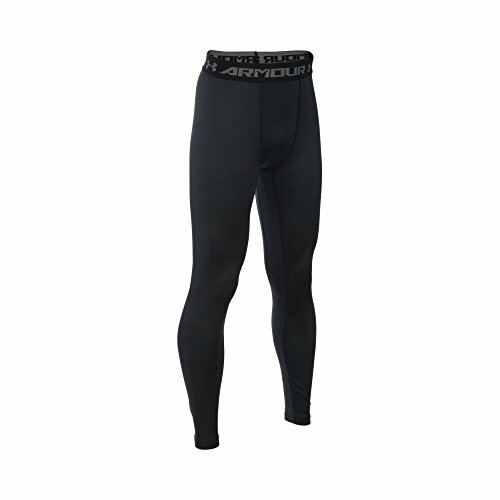 Save 39% on the Under Armour Boys' ColdGear Armour Leggings, Black/Reflective, Youth X-Large by Under Armour at Cardio Fitness Plus. MPN: 1288345-001. Hurry! Limited time offer. Offer valid only while supplies last. Dual-layer fabric with an ultra-warm, brushed interior & a smooth, fast-drying exterior. 4-way stretch construction moves better in every direction. Dual-layer fabric with an ultra-warm, brushed interior & a smooth, fast-drying exterior. 4-way stretch construction moves better in every direction. Material wicks sweat & dries really fast . Anti-odor technology prevents the growth of odor-causing microbes. Engineered elastic waistband with ARMOUR wordmark. Inseam: YMD 21.5'' (+/- 2'' per size).